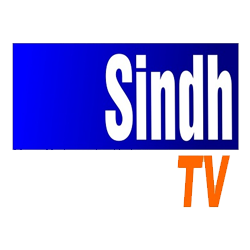 Hum TV is a 24-hour Urdu General Entertainment TV channel based in Karachi, Pakistan. Hum TV is Pakistan's Live TV Channel providing Quality entertainment with Trending Dramas and Shows. Hum TV is known for enriching our masses with great content and nonstop entertainment since 2005. It portrays our culture and shows dramas that are very relatable to our people. Great stories have been told here and kept the audiences especially women glued to their screens. Driven by a woman herself, Momaina Duraid, this platform mostly shows plot lines which are women-centric. Empathizing with our women’s problems, it reflects the issues of our society through great screenplays, plots, and twists that make hearts skip a beat. With Humsafar being a super hit serial, known and loved internationally touched all our hearts with Khirad’s life-changing destiny. It is a nonstop showcase of serials, films, morning shows with fresh topics every day and talk shows for one to watch with family and enjoy. A visual treat, a heart touching reminder of history and a saga of amazing actors all on one screen. It is based on a novel written about the partition of the Indian sub-continent. The story goes along with a woman’s perspective and dramatizes all the problems women faced during those times. It depicts a Hindustani family who got mercilessly separated in the partition. A glimpse of the times before us. What just is an “Independence Day” to us has a lot more meaning to it, stories to it which we might be not aware of. Here is a chance for you to see from an angle where you will be in the shoes of those people. A depiction of slave culture and the misery our lower classes are in. Issues which are not normally addressed are shown here and the harsh reality of life portrayed. This is a story of an orphan girl who despite living a deprived life has the will to follow her dreams and never gives up. Sanwari revolves around the story of two middle-class sisters who are entirely different. Ujala, the elder one being a bright student and handles her house chores as well whereas Shama who is self-absorbed and materialistic only ends up making Ujala’s life difficult. A story of a maid’s daughter. Left alone by her mother in the care of the woman who she works for, Asma believes she is a part of their family whereas she is considered a maid. Her mother left her to save her from her alcoholic father who would have sold her for money. Asma works as a maid and tries to study when she can. The people she works for want her to marry the driver but fate brings her to Sheryar, a well-off young man, living abroad. Lamhay revolves around a foreign return Hashir and a conservative eastern girl Aleena who by fate meet each other and fall in love. Hashir was sent to London by his grandmother after the murder of his father. He after many years returns to Pakistan and experiences the tradition and culture. Based on an Urdu novel by Sonia Naveed. A story revolving around Arsal and Hareem. He breaks of the marriage, telling her she is not suitable for him. What happens to this bizarre love triangle will be shown as the drama progresses and reveals. The narrative revolves around two sisters, Saania and Aania, who come from a lower-class background. Saania is a mature loving girl, Aania is narcissistic and greedy. Aania lusting for wealth searches ways to escape their hopeless way of life. She meets Shahnawaz, a rich man with a shady reputation. Aania falls weak, impressed by his lavish lifestyle not knowing what lies behind and is trapped in an unending circle of trouble. The series revolves around two cousins, living in a joint family Arsal and Ajiya Nazakat Ali who have taken their vows (Nikaah) but are not yet living together because the wedding and Rukhsati are not held yet. Both Ajiya and Arsal are against the marriage as the nikaah was done as per the wishes of their dying grandfather without taking their consent. Jiya has a dream of joining London School of Economics for higher studies after her BBA. With their constant quarreling, pranks, and struggle to tolerate each other, they develop an uncanny bond. It is going to be rather interesting to watch the turn of events that will change the course of the drama from a pure romantic one to an intense thriller. We bet it’s going to be a refreshing change to watch this story amidst the everyday love stories. An odd love story of Noori and Bhoola, a mentally challenged guy. Noori wants to marry a local shop owner, Sahir who refuses her. Will Bhoola bring Noori happiness?